Dr Meredith Lake is the author of The Bible in Australia: a cultural history (NewSouth Books, 2018). An historian of Christianity in Australian society and culture, her particular interests include the cultural history of the Bible and its reception, religion and settler colonialism, and the history of faith-based social services. 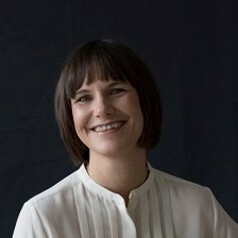 Meredith received a PhD in history from the University of Sydney in 2009, for a thesis on religious ideas of the environment in early colonial Australia, and has since worked in the not-for-profit and higher education sectors. Her major publications include Faith in Action: Hammondcare (UNSW Press, 2013), and a prize-winning article in the Journal of Religious History (2011). Her media experience includes appearances on Radio National, ABC Sydney, ABC television, various podcasts and community radio stations. Find her on twitter - @meredithlake1 - or at www.meredithlake.com.